What to make something swell and romantic quick? This is just the thing! These candles look great, smell great and cost you just pennies. Cut the oranges in half and use a spoon to remove all the insides. All you need is just two halves of the orange skins. You may eat the oranges. Now cut a piece of wire inch long. Make a little loop on one end and stick the other end into the orange skin. Make sure not to pierce it right through, otherwise your candles will leak. 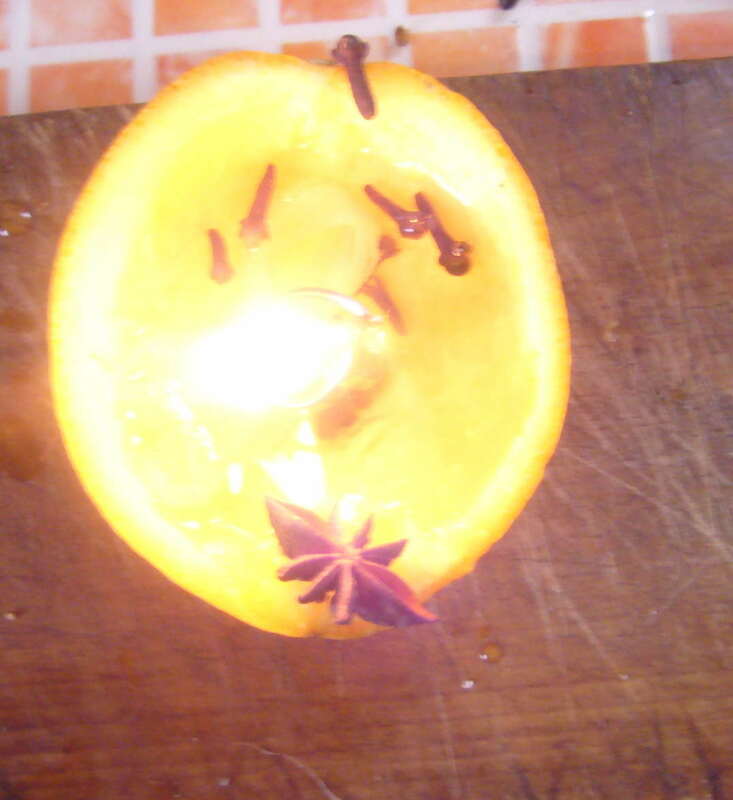 This candle does not look nice on my pic, I did not manage to make a nicer photo, but they surely look when burning. Cut your fabric into inch long and ¼ inch wide strips. Pour some vegetable oil into the orange skin candles, dip the fabric strips (your wicks) into this oil and adjust them on the wire loops inside the candles. 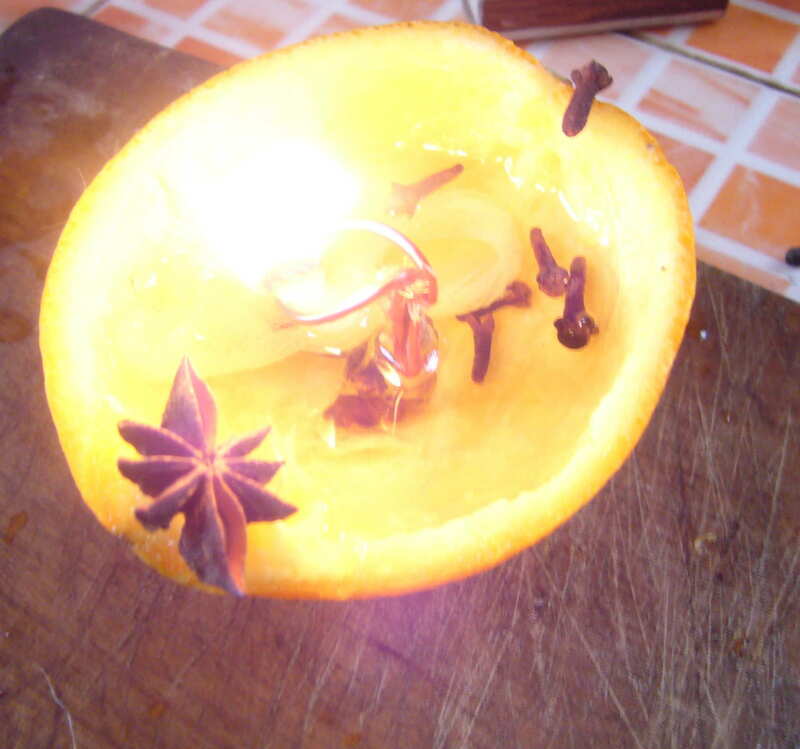 Now you may use some spices, such as cloves, anise tree seeds or cinnamon to decorate your candles and add them aroma. I have also use few drops of orange aroma oil in my candles. You ready to fire up. These candles are easy to make, but they look fantastic on your Valentine day romantic table or in the bathroom. Feel free to like and share this project on Social media and join me on Pinterest for more craft ideas. 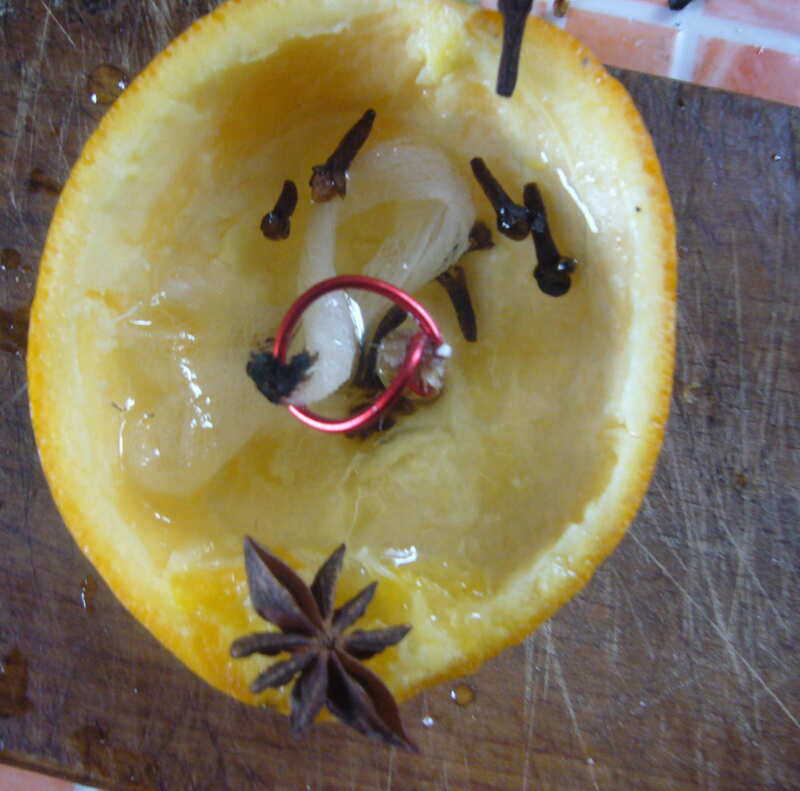 This entry was posted in Crafting Tutorials and tagged DIY candles, diy romantic candles, easy diy project, orange skin candles, upcycling, valentine day, valentine day craft. Bookmark the permalink.